Icons are one of the tools that most web designers make use of in their designs, they are a space-saver and essential in user interfaces to convey links and desired actions. They have become even more prevalent in mobile use where space is at a premium. A good icon needs to be well designed and clear what the intended action is. As a designer it helps to build up a collection of icon sets that you can quickly deploy into a design – there is no need to spend time designing unique icons for mockups when there are so many thousands of sets available you can use for free which will cover most typical uses. We have put together this list of over 30 free icon sets for you to download, we tried to pick a broad selection of styles to cover most uses. In this collection we have line icons, flat icons, outlined icons, credit card icons and so on. There is a mix of formats also, including SVG, PSD and EPS so you can use them in your program of choice. Sunday icons were created with Adobe Illustrator and the freebie package contains 30 high-resolution icons. These icons are perfect for any types of web projects or UI designs. The freebie was released by Abhimanyu Rana. This is another beautiful collection of icons set. You can use these icons such media playback, communication, content editing, connectivity, and etc. The package includes SVG format icons in both 24px and 48px flavors and come in high-resolution format. Perfect for any web, Android or iOS projects. 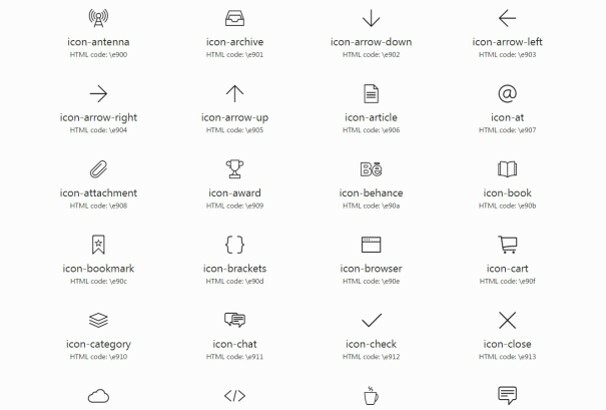 Evial icons set are perfect for any web related projects. You’re getting 56 SVG icons in the freebie and also in AI format. Alexander Madyankin and Roman Shamin designed and released these awesome icon packs for free. These colorful maroo icons were created with photoshop vector shapes. You’re getting 110 flat colored icons in this freebie. Free PSD icons were designed and released by Hesham Mohamed. This exclusive icon set was released by Icons8. In this freebie, you will get a huge collection of pixel-perfect icons. All these icons come in PNG, SVG and EPS format. All PNG come in with the size from 25×25 to 100×100 px but the free version is limited to 100px in PNG format. Total 107 items are included in the package. Simple line icons are perfect for any kinds of web and UI design purpose. 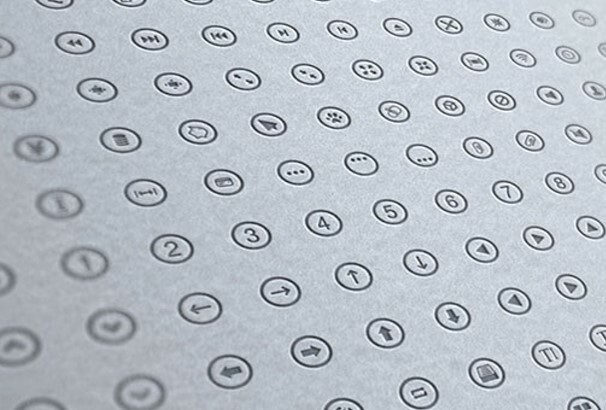 You will get AI, EPS, SVG, PSD icons in this freebie. A large collection of 100+ line icons set were released by Mirko Monti. Teal icons were made with great care and perfect for any types of App or UI design. You’re getting 12 free PSD icons in the freebie. These exclusive PSD icon sets were created and released by Mike Busby. This freebie package contains 18 beautiful icons. These icons were made with Adobe Photoshop and all the icons come in PSD format. These freebie icons set were designed by Deividas Graužinis. 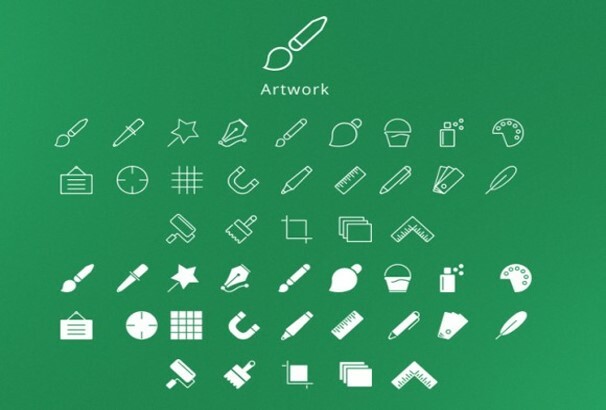 A talented designer from Sweden created these awesome icons in photoshop. You’re getting total 177 designed icons in this package. The freebie package includes 48 crisp icons, 35 detailed icons, 24 weather icons and 70 soft icons. Designed by Robin Kylander. Metrize Icons set were perfectly designed for your apps or web projects. The package includes the PSD (Single Shape Layer), SVG (Single Icon 512 x 512), EPS, AI, PDF and Web Font. You’re allowed to use these icons for both commercial and personal uses. These icons are perfect for any website or online business on your forms of payment. You’re getting total 75 PNG formatted icons in this package. These icons are available in PNG format in two sizes (99×66 and 64×43). These awesome icons set was created by Peps. Social icons are very useful things for any web or UI projects. This package has almost all social icons and these icons were crafted in perfect pixel from 12×12 to 32×32 PX. You may use these icons for both commercial and personal projects and customize these icons as your needs. This freebie has a set of 100 Christmas icons and the freebie package includes Illustrator file containing vector shapes, icons that you’re allowed to edit as needed. These beautiful icons set were created by Designer Bundle. Mirrored twins, a set of 104 free PSD icons exclusively released by PixelKit. There are two styles of icons included in this freebie. One is hollow and stylish, while the other one is chubby and filled with joyful pixels. You’re getting 208 awesome icons in total! These exclusive icons designed by Katarina Stefanikova. You will get both AI and PSD files in this freebie package and customize the icons as well as your needs. These flat icons set were created by Pierre Borodin. Perfect for any types of web or UI projects. You may use these icons for both commercial and personal projects and customize them any way you like. These free PSD icons are perfectly created for iPhone, iPod, and iPad devices. This exclusive pack comes with two sizes of 60×60 and 30×30 pixel icons. You can easily customize and resize these icons for any types of iOS or web app designs. Touch Gesture PSD icons are perfect for multi-touch devices. You’re getting 5 different sizes of icons in this package such as 48px, 64px, 128px, 256px and 512px in PSD and EPS vector files. You can use these icons for web design, software, application, advertising, film, video and so on. These icons are totally free to use in commercial or personal projects. This freebie has 170 colored Retro Business icons for your projects and designed in Sketch. Fully customizable icons will help you to make perfect colored icons for your projects. These icons are built on a 58px base grid. You may use these icons for both commercial and personal projects and customize them as needed. Another exclusive collection of social icons. This freebie has 16 flat-style social icons in a PSD file and exclusively released by Pixeden. These icons are pixel-perfect and suitable for any types of web or UI projects. CSS icons are very useful for any types of web or UI project design. This freebie has more than 500 icons and these icons are free to use for any personal or commercial projects. Another huge collection of pure CSS icons. You can set font sizes to adjust icon’s size and scale icons by setting zoom or transform-scale. You may use these icons for both commercial and personal projects and customize them any way you like to use. Colored Line Icons were beautifully designed for any design agency related project. All these icons come in vector format and the package contains 30 different icons. These icons also come in 34px, 64px, 128px, 255px and 512 pixels PNG format. This freebie contains 30 flat isometric icons inspired by the accounting industry. All the icons are fully customizable and come in various PNG sizes. This awesome freebie was created by Iconshock. This freebie has 24 multi-colored icons with an aquatic sports theme. You’re getting all these icons in SVG format. This icon set is perfect for water sports, including various pictographs of all kinds of water activities related projects. You may use these icons for both commercial and personal projects. Material Icons Sketch is perfect for any types of designing works such as UI, Wireframe, Icon, Mobile Device, iOS, Android UI Kit, App, The Web, iPhone iPad and so on. You’re allowed to use these icons for a personal or commercial purpose. Universal themes icons are perfect for any types of web related works. All these icons come in SVG format and you can easily change the color, shape, size as your needs. There are total 100 icons are included in the freebie package. Check out the freebie now! Cute multipurpose icons designed very beautifully and suitable for any purpose. You’re getting 90 cute pixel perfect icons in this freebie. You may use these icons for both commercial and personal projects. Gonzocons icons are specially made for web designers and developers. By using this set you can easily create icons for your designing work. Just like other web fonts, use the CSS @font-face rule to display icons in web browsers. You can also customize these icons in any size, color, and any style. This awesome freebie pack has 33 fully scalable vector icons with outline styles. All the icons come in EPS, AI, PSD, PNG, and SVG format. So that you can customize these icons to any size, color, and shape. These icons were designed and released by Dryicons. This freebie contains a small set of 25 sparkly flat icons and comes in 2 color versions (mango & icicle). All these icons also come in AI, SVG, EPS, PNG format so that these are fully customizable. These beautifully handcrafted flat icons were created by Petr Knoll.